Sandy is a renowned Maori visual artist and cultural leader who exhibits his work widely nationally and internationally. 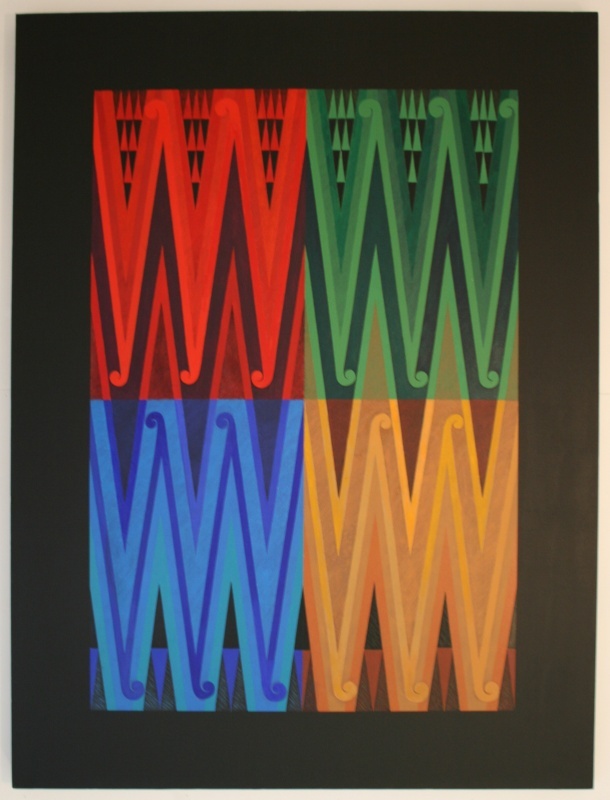 He projects creates vibrant new Kowhawhai (rafter patterns) from the ancestral house and re-interpreted them in large rectangular form for exhibition in galleries. The curvilinear forms of swirling and soaring koru designs and patterns have inspired younger artists. 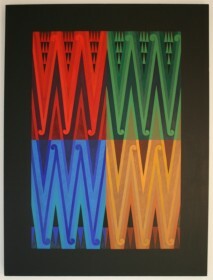 Sandy is one of the most influential artists working for Maori today. He has achieved this through his work in art education and as the founding chairman of Te Atinga, the contemporary Maori art committee of Toi Maori Aotearoa. Sandy received the supreme award for his exemplary contribution to nga toi Maori, Te Tohu Aroha mo Te Arikinui Dame Te Atairangikahu. He is currently Adjunct Professor at Toimairangi, The Contemporary Maori Art School, of Te Wananga o Aotearoa in Hastings. Sandy maintains strong links with his old school, Te Aute College where he participates and promotes Maori based cultural programmes.